Today, my legs have decided to look thinner than usual. I am bottom-heavy--which is part of my everyday-dilemma when it comes to dressing up/purchasing clothes--so seeing this relative proportionality amazes me. Then again, I think about why they did get thin and it's just sad because it was because I got sick and not because I exercised or anything like that. Exercise--I've been lacking a lot of it since I graduated and have not been rowing with the DLSU Dragonboat team since then. But I did put together this look in my head during the time I was just lying in bed. I couldn't wait to get it all together and actually see how it would turn out. 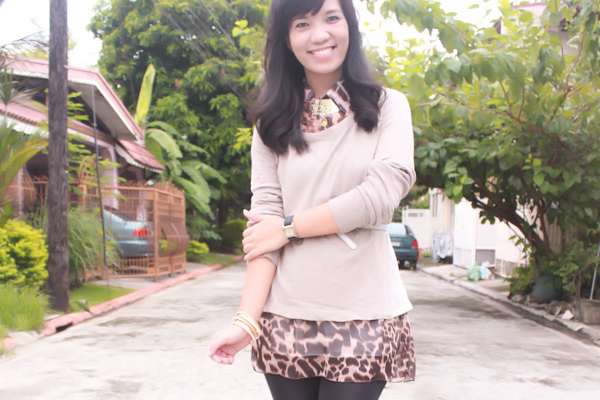 I wanted to tame the leopard print, so I decided for this pullover I got for only P100 (more or less $2). What do you think? 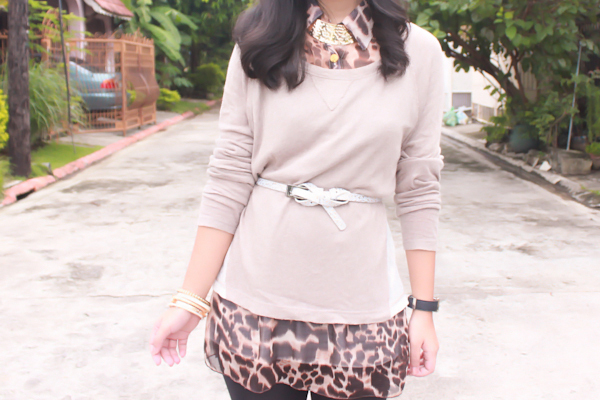 I've always had a place in my heart for neutrals. great idea... i like this outfit! Cute outfit! 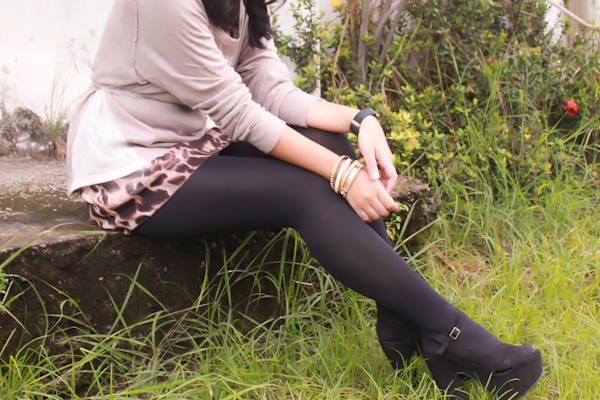 I love the leopard dress! I've been yoyo-ing with exercising too, I need to have better discipline. But that's so cool that you were on a dragonboat team! I've been to one lesson and haven't gone back yet, even though I love rowing! We sorta have the same name! :) Thanks for dropping by! i love this idea of "taming the leopard". you look absolutely beautiful, girl!